I’ve been dieting and i lost 3 lbs! yay! 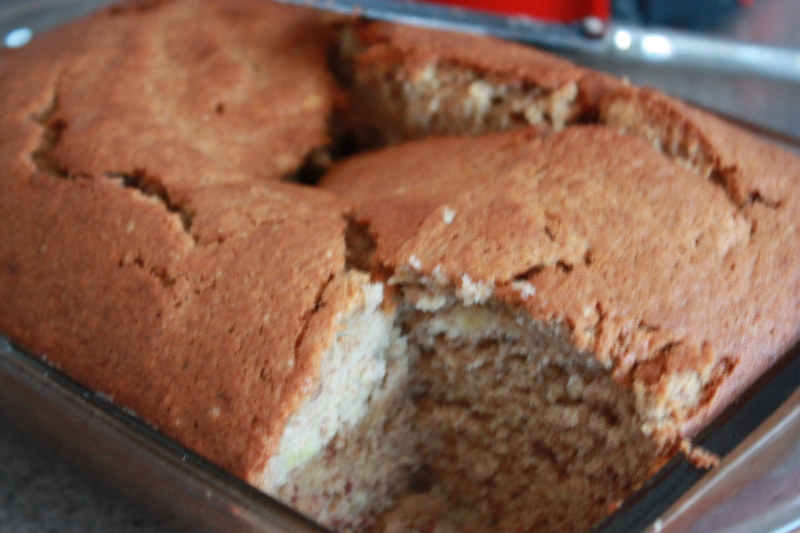 but i cant help but want to bake and enjoy a dessert after dinner of some sort… this recipe has wheat flour and bananas. Preheat the oven to 350. Grease and flour a 9×5 inch loaf pan. In a large bowl, mash the bananas and add oil, sugar, eggs, and vanilla. Then mix in the flours, baking soda, powder, and salt. Scrape the bottom and sides of the bowl to thoroughly combine the everything. 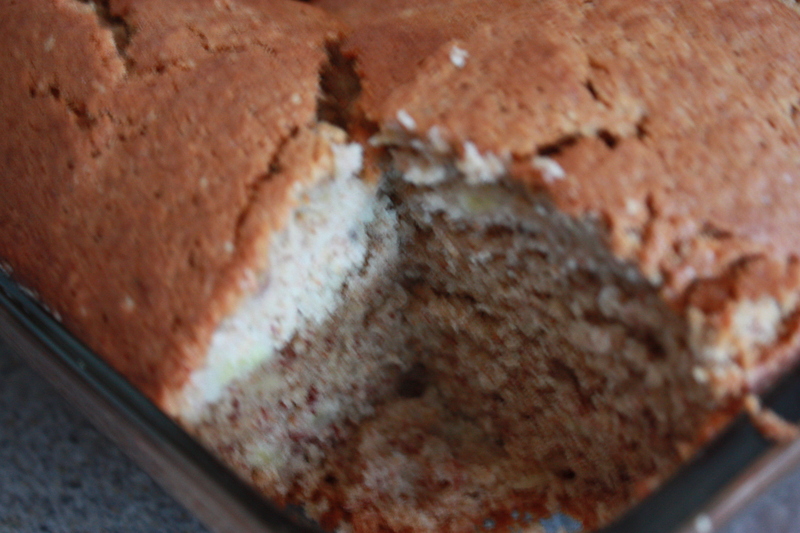 Transfer the batter into the pan, and bake for about 45 minutes or until a toothpick comes out clean. Let it cool in the pan and then try it. This is so good and so light. P.S. 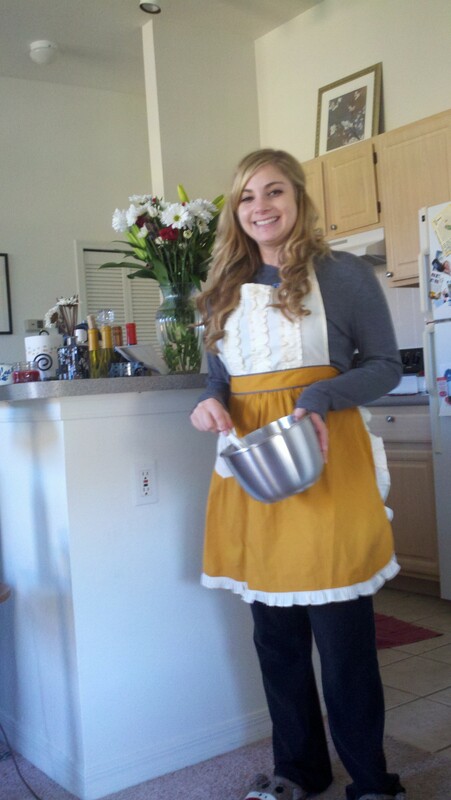 Check out the picture of me at the end with my new apron from Anthropologie! we have a running joke in the apt. that sometimes when we say we’re hungry we will say “Taco Bell?” and maybe consider it for like… .5 seconds and then its automatically no because thats like, last case scenario haha. 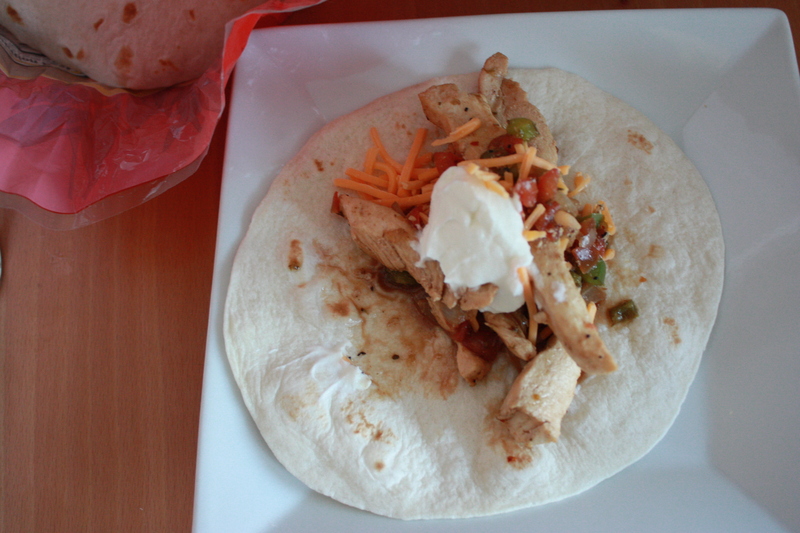 I made Chicken Fajitas to fulfill our craving for mexican. I also really like to do taco nights where i cook some ground beef and use some taco seasoning to spice it all up and serve, but tonight was all about fajitas! In a pan, add oil and cook the chicken until both sides are cooked and there are juices in the pan. Add the onion and pepper and stir. 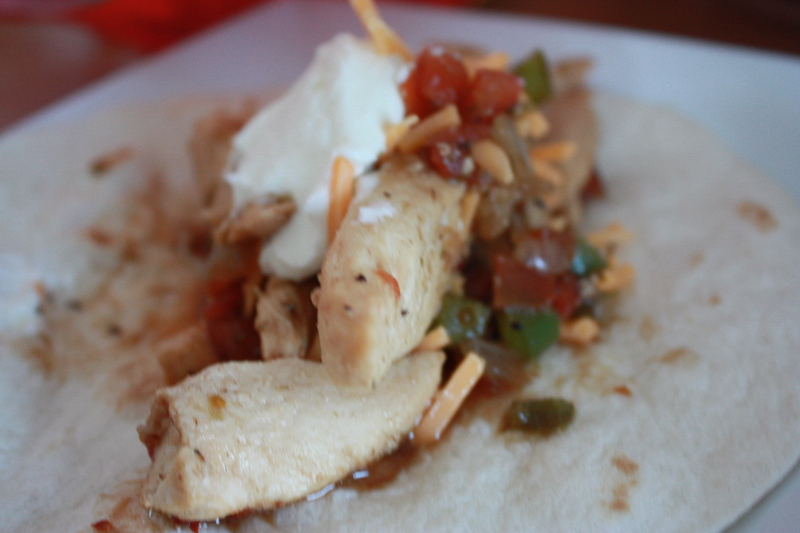 Add the fajita seasoning and let it cook for 5 minutes. 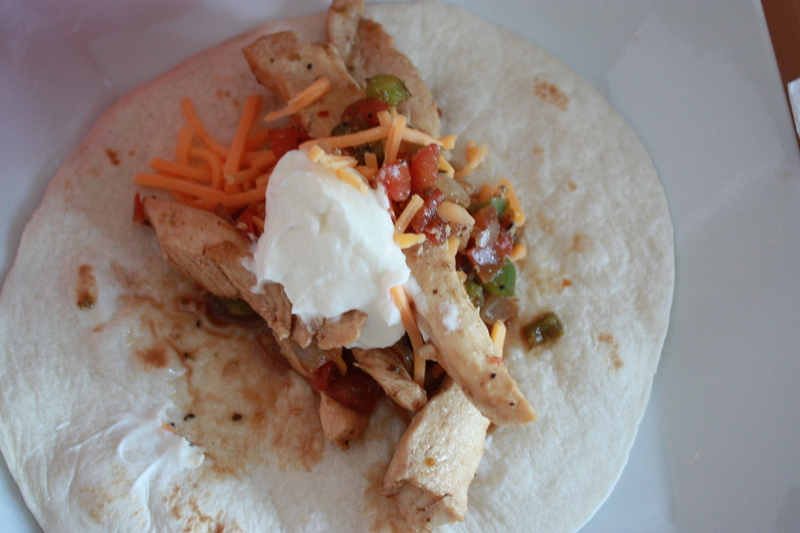 In the end, add the chicken with veggies into the fajita, add the toppings like cheese, guac, and sour cream to your liking, and enjoy! SO easy and only take like 15 minutes all together to make!